While transit-oriented developments (TOD) have become ever more popular on the near Northwest side of Chicago, the latest such project is on the complete other side of town, and it offers something the others don’t. The Woodlawn Station development will be located at the 63rd and South Cottage Grove station of the CTA L Green Line, and will include 70 units of mixed-income housing, in three buildings. 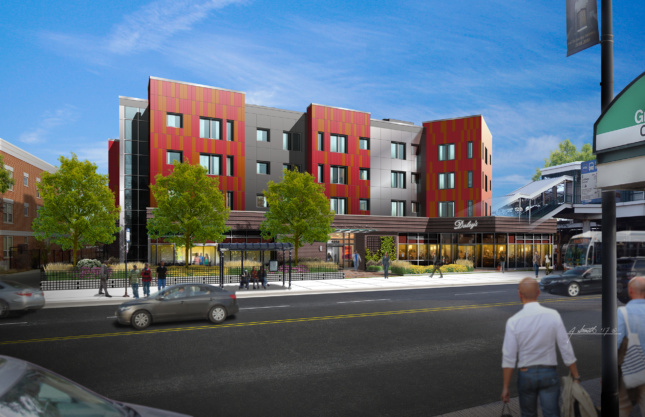 The main building of the development will have 55 market-rate and affordable housing units. The four-story building was designed by Gensler with Chicago-based Nia Architects as the architect of record. The base will include 15,000-square-feet of retail and commercial space, and other amenities include a rooftop deck, a play garden, and community room. As a transit-oriented development, it will have limited car parking, and extra bike storage space. A digital transit info screen will let residents know when trains are approaching, as they will only have a few steps to take to get to the station. The importance of the Woodlawn Station project is in the role it will play in the quickly revitalizing neighborhood. Earlier this year it was reported that, for the first time in 50 years, Woodlawn had seen an increase in population while simultaneously a decrease in crime. A great deal of emphasis is being put on the neighborhood by the city, as it will also soon be home to the Tod Williams Billy Tsien-Designed Obama Presidential Center. 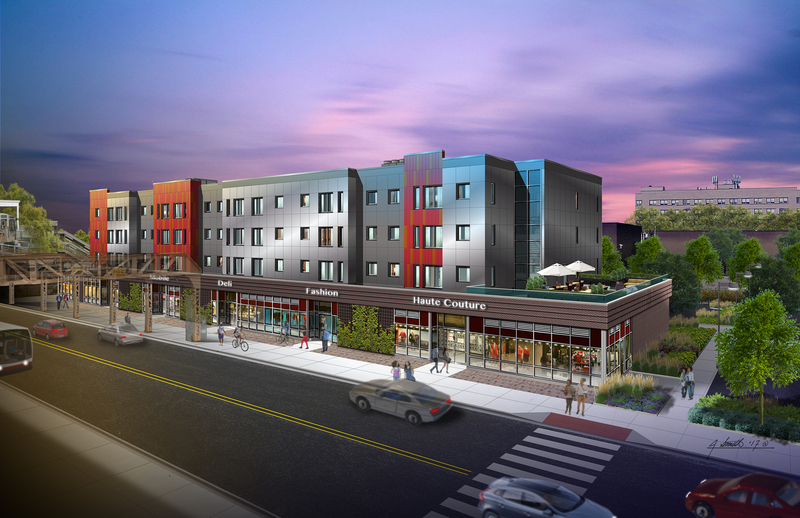 In recent years, other projects, from the Woodlawn Resource Center to University of Chicago student housing, have all added to the improvement of the neighborhood. The developers of the project, Preservation of Affordable Housing, Inc. (POAH), specifically focus on developing affordable housing. Along with U.S. Department of Housing and Urban Development (HUD); City of Chicago; Local Initiatives Support Corporation (LISC); JP Morgan Chase; BMO Harris Bank; and the Illinois Housing Development Authority (IHDA) the project is an example of how multi-layered public/private financing is often used to build affordable housing in Chicago. Yet local officials are quick to point out that federal funding may soon be a smaller part of the equation.